What Is Yin Yang Harmony Yoga? They say that scent is the sense that is most closely tied to memory and emotion. Because of this, aromatherapy has powers to help you relax and to focus more completely during your yoga practice. We put this to use for a more total mind-body experience during our aromatherapy yoga class. 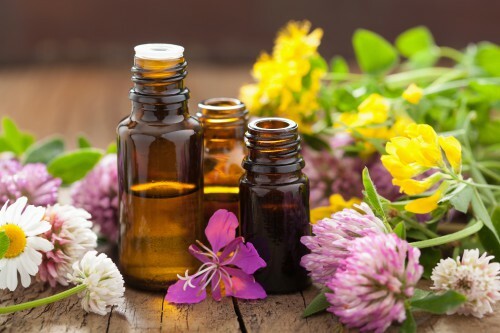 Aromatherapy uses essential oils, which are volatile plant-based materials. These aromatic oils have been used therapeutically for at least 6,000 years. The ancient Chinese, Egyptians, Greeks and Romans used them in medicines, cosmetics and perfumes. Aromatherapy came back into popular use in the 1950s, gaining momentum through the 1980s. The scents each oil used in aromatherapy stimulate brain activity to affect emotional, mental and physical health. A French chemist discovered that, when he applied lavender oil to a burn on his hand, he experienced pain relief and quicker healing. Modern scientists theorize that the scent of lavender stimulates a region of the brain known as the amygdala, providing relaxation. Different oils have been found to have different effects. While lavender aids healing, the scent of neroli, the essential oil of bitter oranges, helps reduce blood pressure and anxiety. The scent of lemon improves mood. In other tests, essential oils such as rose and frankincense helped ease pain and improved participants’ sense of well-being. While there are still few human studies, the information is encouraging and inspiring. Yoga has also been clinically proven to assist with pain relief, building strength, increasing flexibility and helping with mental and emotional health. Studies show that people who practice yoga regularly are more resilient in the face of stress and are more likely to stay healthy and have strong immune systems. By incorporating yoga into your life, you are able to become stronger and more effective in other areas of your life, as well. During our aromatherapy yoga sessions, we use the power of scent along with the known relaxing and centering power of yoga. Together, these movements and scents provide healing, uplifting and calming effects. The result is a complete mind and body experience that incorporates all of your senses. This is one of our most immersive and satisfying yoga classes. You will emerge from this class relaxed, balanced and ready to face the stresses of the week with calm. We offer this and other yoga classes on a regular basis to fit your needs and your schedule. Check our class schedule today to schedule a class that provides the movement and calm that you need. Whether you indulge in aerial yoga, aromatherapy or another class, each provides unique benefits that can enhance your health and your life.